We strive to be the employer of choice for scientists who are passionate about becoming independent laboratory heads. The Institute aims to provide laboratory heads with the opportunity to succeed within the first seven years of employment. We will provide a package that includes financial support for salaries and consumables, professional development and collaborations. The Institute is aware of the difficulties women face in transitioning from postdoctoral scientist to laboratory head. We have implemented a number of gender equity initiatives to support female laboratory heads. Applicants are strongly encouraged to contact the division head in which the vacancy exists to determine whether their skills and research interests are aligned. You should also discuss your requirements for financial support of research, laboratory space and level of appointment. Expressions of interest should include a full CV, a one-page summary of research achievements, two-page summary of future research plans and contact details of three referees. Particular attention should be given to how your research will enhance the Institute’s existing research programs. 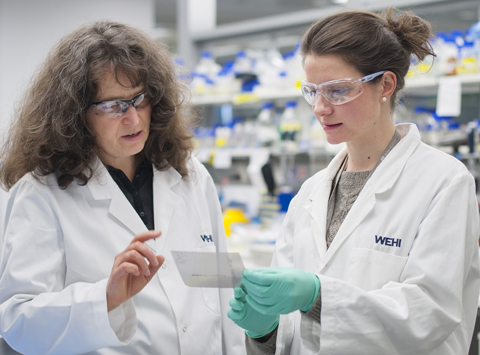 Please submit your application to jobapplications@wehi.edu.au quoting the specific reference number in the subject line. Short-listed candidates will be invited to present an hour-long seminar and speak with faculty members.